Each of us has that someone special that makes us smile when we think of them. I can remember both of my grandmothers with fondness. My paternal grandmother lived In the same town as I did so I saw her almost every day. This post was written by Connie Formby who allows us to vividly remember Sadie, her grandmother. 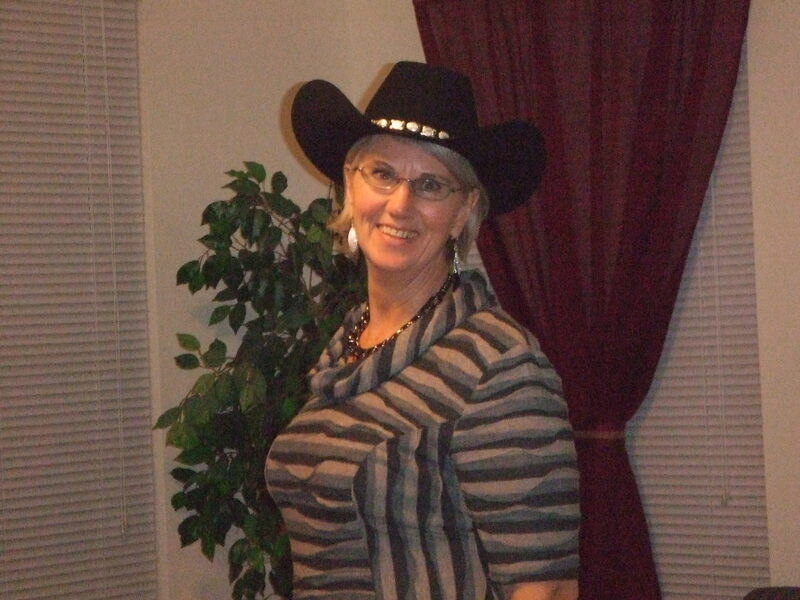 Connie lives in Fort Worth and spends her time with her husband Grant, a pastor and accomplished chef, and her two dogs, Lady and Sadie. (Yes, named in fond memory of her grandmother.) She loves working in the yard and creative sewing in her spare time. Grab your favorite beverage, sit back and remember Sadie, She is sure to warm your heart. 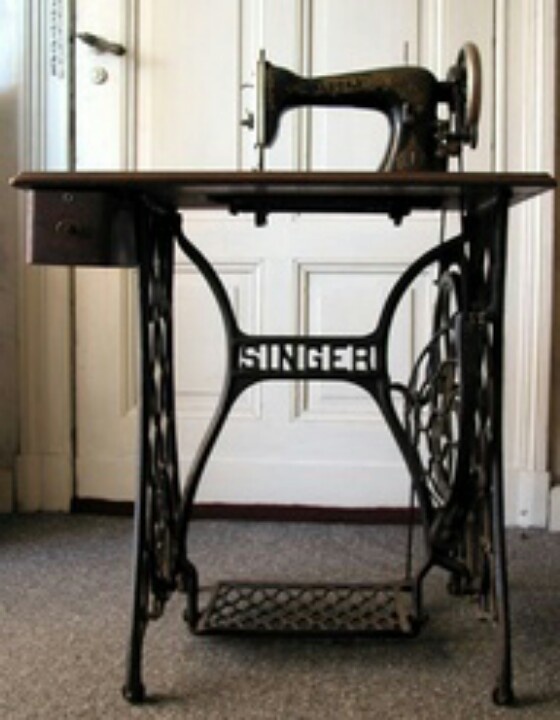 The vision of her short stout stature sitting on the chair in front of her sewing machine is as clear today as the figure that sat before me in the small rural neighborhood in which we lived in Pennsylvania. Cattle grazed just on the other side of the fence bordering the backyard we viewed through her bedroom window. She lived with her cousin while we lived in a house just four streets away. As an older child, I could walk to her house to visit my grandmother. The room was simply decorated. A glass plaque, hand painted in her favorite color purple, hung on one wall. On another wall hung her heavy round mirror, (a cherished treasure I have ownership of today), bordered with a hand painted quote. A light colored wooden dresser with a lamp sat between her bed and her sewing machine, and a rug lay on the floor. Simple curtains framed the one bedroom window. The hum of the sewing machine, the sun coming in the window; the contented smile on Sadie’s face, something about her stirred a connection I had yet to understand. For hours unending as a child, within this environment, I sat silent on her bed. Few words were ever spoken. They did not need to be. A thread of communication was stitching our hearts together where our spirits had already met. She reflected both a deep love for me and a very dark distance from my life because by that time she had already lived through hardship unimaginable to me. No one meant more to me than Sadie. Our quiet hours shared, Sadie at her sewing machine and me on her bed lost in a world of colors, textures, compositions, and the shapes of her buttons poured from a collection of cookie tins onto her white Chenille bedspread. Sometimes she sang from her heart or laughed, more to herself than to me, as her mind followed the threads of memory through the fabric of her life to church and her childhood. The sound of her voice warmed my heart as she sang her beloved songs. 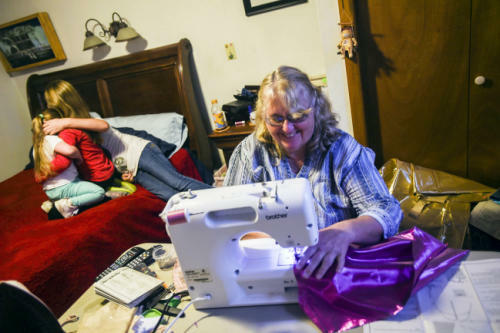 It seemed to me, happiness came to her when she was transported to a happier place or time across the threshold into her world of sewing or music. She was not especially talented as a singer, yet even today I hear her voice as she passionately sang her beloved songs. Somehow I know she holds a place in the heavenly choirs of angels. It is as if I can see her there. As a seamstress, she was quite talented, often making her own patterns. She would lovingly hand craft clothing for herself, my mother, my two sisters and me. Silently, a transcendent force deep within myself was guiding me to be like her. It was never a conscious decision. It was a choice made involuntarily and genetically. I was influenced spiritually by simply spending time with her, being close to her and learning to love her deeply. Time spent in grandma’s room wove threads of cherished memories which formed the tapestry of my life. Quiet aloneness became the atmosphere in which I made a spiritual connection with sewing. 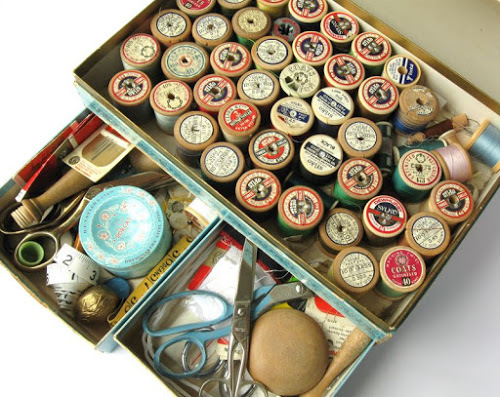 Seemingly endless threads of color, texture, shape and composition comprised the myriad of components of sewing. Each one was somehow woven into my heart. I became passionately connected, all the while never losing touch with the intangible force which led me there. In these times of aloneness, her spirit tenderly led me to a place which remains a place of sweet quietness and peace. Contentment and inspiration, from a greater being than mankind, flows out of this place as I apply the gift passed down to me through the spirit of my grandmother. The life flowing through her veins was her love and ability to make clothing. Through my veins flows a passion for artistry through fabric applique or creating pictures out of fabric. As I view each developing “canvas” before me, I easily recall her connection to the different stages of the process each time she made a garment. I did not understand her paranoid schizophrenia and it hurt deeply when she would leave and visit that side of her life. She was incredibly sad and troubled in this place that was so unknown by me. She cried often and said many things I could not comprehend. I hurt for her and as the years went by, I longed to reach her to bring her back. I felt as though the scissors used to cut out her wonderful clothing creations was being applied to my heart cutting away someone I felt attached to like the other half of the piece of fabric being cut. As a child I missed her and did not understand when they took her to the hospital. I missed our times together. I missed her tins full of buttons. I missed my place of escape. It is interesting how life turns. After years of spending hours on grandma’s bed with her buttons, grandma had the opportunity to share a bedroom with me. These memories are priceless treasures to me. Yet pulling at my heart strings are the heavy memories of an increasing number of times she would leave and go to her place of deep sadness and darkness. I longed for a better understanding of who she was. I was angry because I could not reach her or reason with her. I did not understand her or the thief who continued to take her away. In our room were two sewing machines. Stitched by these cords of memories are the pictures I cherish of both of us sewing at the same time. First, I recall the Christmas prior to starting Kindergarten. I received a pink sewing machine in its own small wooden carrying case with decoupage pictures on the outside. When led by her love and guidance, joy and pride surged through my being as I sat beside her sewing small simple clothing articles. Many years later while sewing my own clothing beside grandma, I experienced the same feelings of pride and joy. Often during these times, I was able to invite Sadie to revisit her childhood and happier days. Side by side as I led her back to the happier times, she recounted for me what she remembered. Orchestrated with the patterned hum of the sewing machines was the duet of our laughter. Through the stories she recounted came a clear picture of the creative and colorful person Sadie was. I loved the happy, creative, mischievous, and witty person she was in the stories. This Sadie was an Ann of Green Gables sort of person. Sitting by her I watched as the threads of memory spun a web that captured an account. One day, in the one room schoolhouse, while studying Science, her stoic elementary school teacher asked the class if anyone could identify the crusts of the earth. Sadie quickly raised her hand. With a smile on her face, she wittingly responded, “bread crust and pie crust.” She was promptly reprimanded. It was my pleasure to experience some of this playful side throughout my years with her. When Sadie was taken to the nursing home to live, I missed her. For the years she was there, I visited her whenever I had the opportunity to return to Pennsylvania. When she passed away, I was left without a very dear friend. However the gift of her spirit remains in me and continues to live through me, expressed through each picture this artist paints, using the mediums of a sewing machine, fabric, buttons, and thread. Remember “thisisyourbestyear”. Remembering those that made an impact on you are wonderful memories. I smile when I remember “MeMaw” and “Grandma Ruth”.